A decadently rich and silky smooth chocolate cake with a hint of coffee. A sure winner among chocolate lovers. 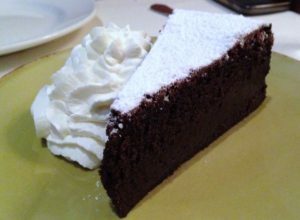 Here is another easy dessert recipe for Flourless Chocolate Cake. Preheat oven to 325°F (160°C). Lightly grease the bottom of 9-inch springform pan with cooking spray. Line bottom with parchment paper and grease again; set aside. 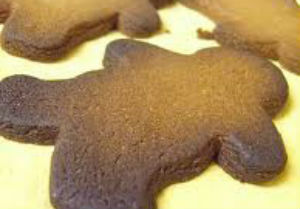 Place chocolate chips, butter, water and coffee granules in medium, heavy-duty saucepan. Cook over medium-low heat, stirring frequently, until melted and smooth. Add in cocoa powder and granulated sugar until smooth. Remove from heat. 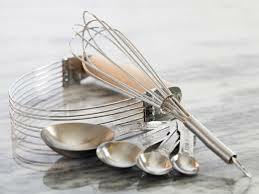 Using an electric mixer, beat eggs until the volume doubles, about 5 minutes. Fold 1/3 of beaten eggs into chocolate mixture. Fold in remaining beaten eggs 1/3 at a time until thoroughly incorporated. Transfer batter into prepared pan. Bake for 35 to 37 minutes or until cake has risen (center will still move and appear underbaked) and edges start to get firm and shiny. Cool completely in pan on wire rack (center will sink slightly). Cover cake; refrigerate for 4 hours or overnight. 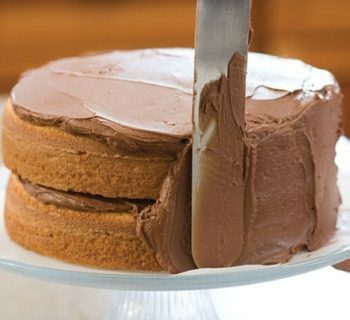 To serve, loosen the cake from the pan by running a knife around edge of cake. Invert cake on sheet of parchment paper, peel off the bottom parchment liner and turn the cake right-side up on serving platter. Dust with powdered sugar. Serve with dollop of sweetened whipped cream. Makes 12 servings.